Established in 1981, GSK has become one of Australia’s leading insurance brokers. Attracting a loyal client base that stretches Australia wide, it is the passion and expertise of our team that transforms us from being just another insurance company, to a valued risk partner for over 5,000 Australian trades and businesses. Throughout this site you’ll find a selection of insurance packages and solutions certain to ‘insure your success’. Contact us today to begin the process to protect your success. Our team takes the time to deeply analyse your needs to ensure we know every potential risk to you and/or your business. We identify every risk to you and/or your business to ensure the end result is a tailored solution fit to cover all your risks and exposures. Solving problems is our business. We tailor solutions to ensure unforseen incidents don’t become far bigger catastrophes. 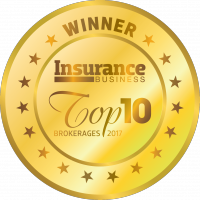 – Top 10 Brokerages Special Report.